Two construction sites in Brussels have unearthed archaeological sites, and one of them offered up the tusk of a woolly mammoth. The tusk is half a metre long and 150,000 years old. 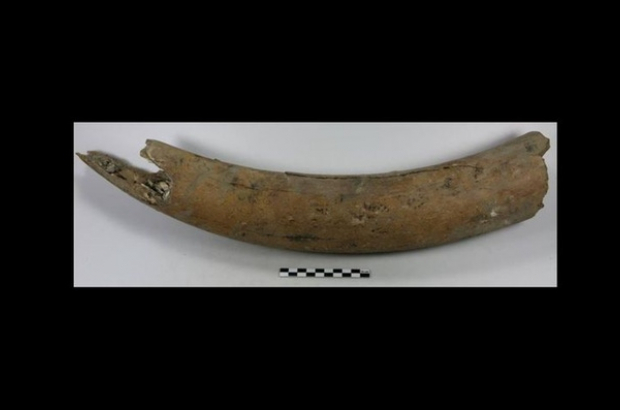 The tusk was discovered last November, but the finding was not announced until yesterday, when archaeologists from Urban Brussels had completed their research. They were surprised by the finding; it’s not something that has turned up in the region since the 1970s. And just today, archaeological objects were found on the construction site that used to be home to Parking 58 in the Sainte Catherine area of Brussels-City. Construction workers discovered clay pots and wooden utensils and immediately contacted Urban Brussels. “This was not a surprise,” the agency told La Dernière Heure. “The new building going up is located directly above where the Senne river once ran.” The objects will be unearthed, but the construction can continue as planned, according to mayor Philippe Close. Archaeologists now believe the wooly mammoth was late for his six o'clock train to Dendermonde, tripped on wet pavement, and broke his tusk. Back then, trains were running on time.